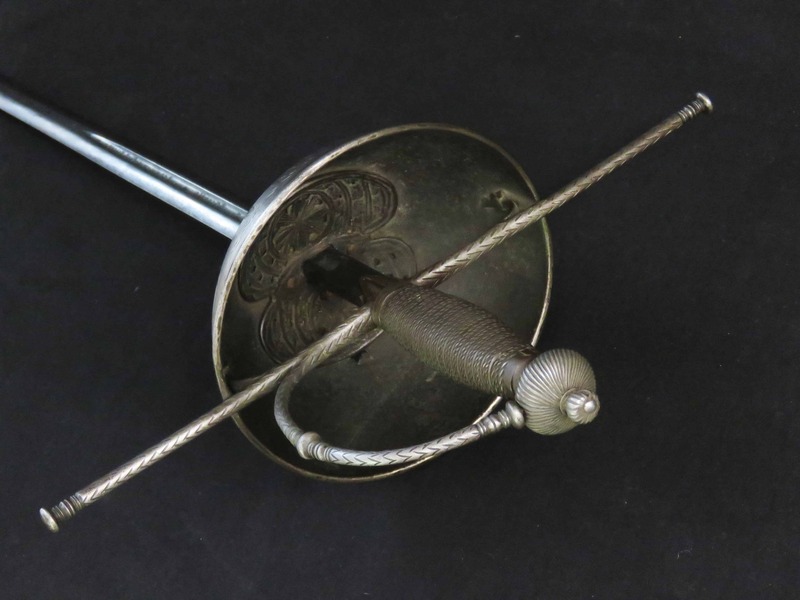 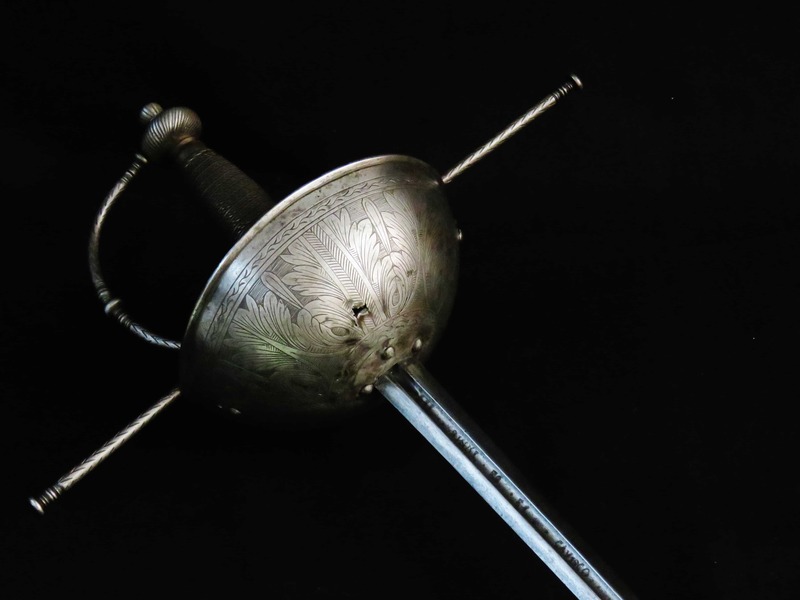 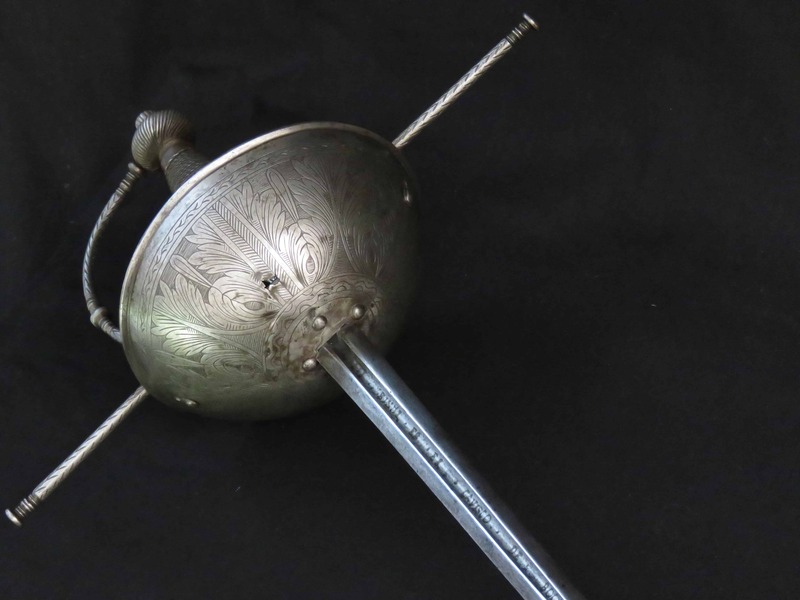 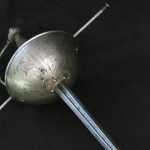 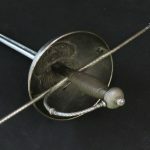 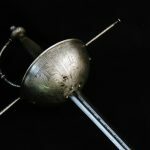 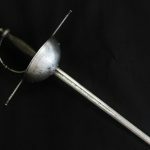 An attractive and nicely balanced Spanish Cup-Hilt Rapier dating to the early 18th century, mounted with a fine quality blade with maker’s marks and a decoratively chiselled steel hilt. 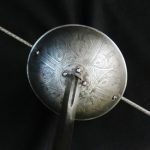 The cupped guard is formed in one piece and shaped with a moulded brim and is engraved to its exterior surface with a continuous pattern of four panels of foliage. 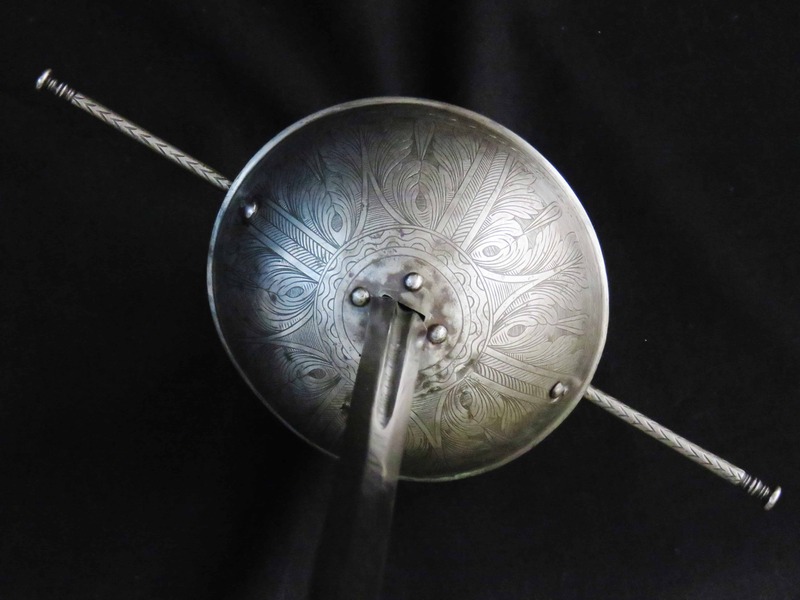 On the inside a pierced iron panel reinforces the tang aperture and is attached to the cup with four rivets with the heads visible on the outside. 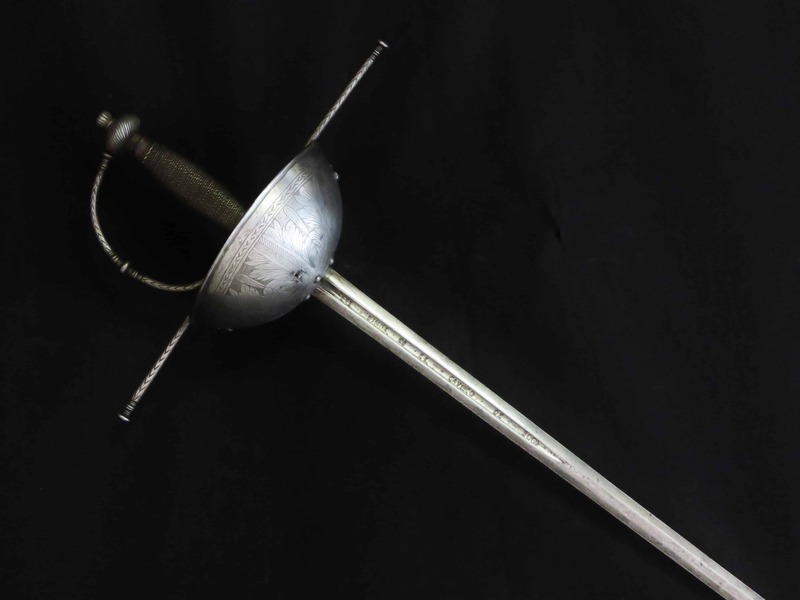 The quillons emanate horizontally from a small block with short triangular langets beneath which extend along the ricasso for a short distance. 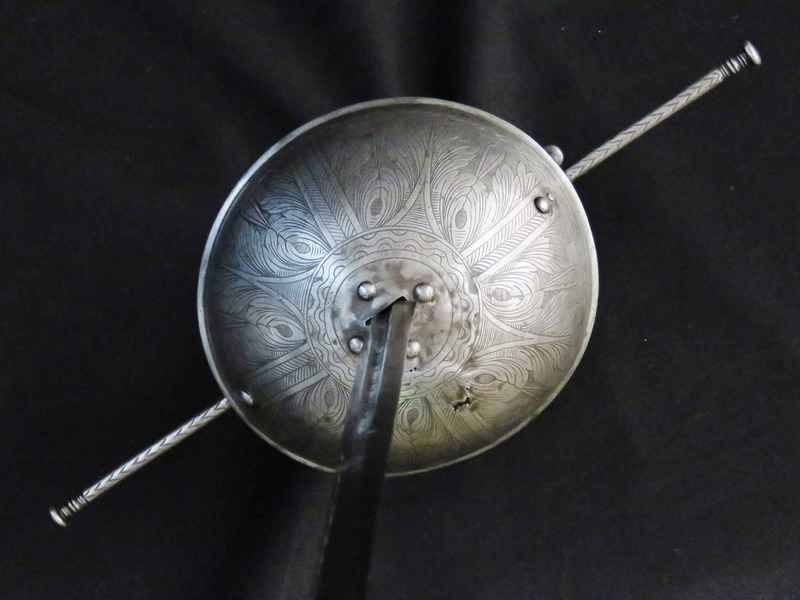 The quillons have a 12 inch (30.5 cm) span and lie across the cup guard secured by curved iron flanges which are riveted onto the cup each side with the rivet heads visible on the outside of the cup. 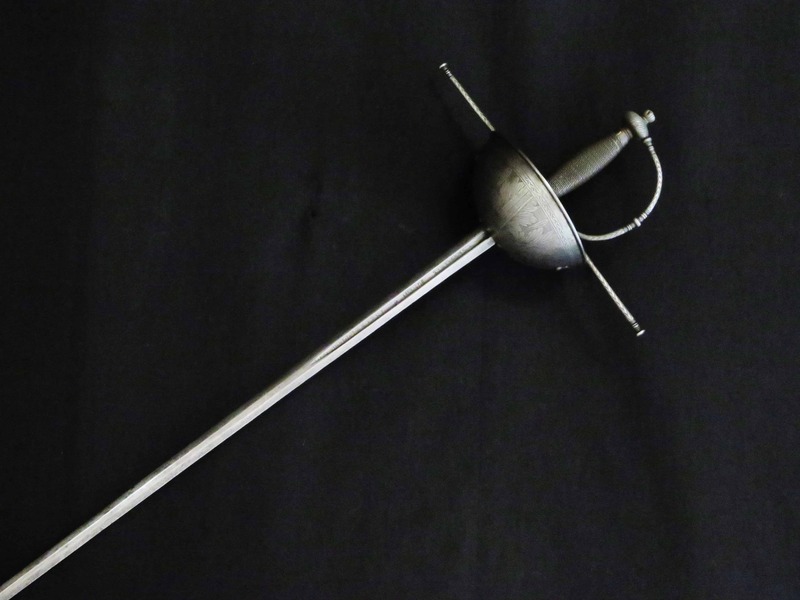 The quillons and knuckle bow terminate in flattened knops and the knuckle bow is mounted with a further knop half way along. 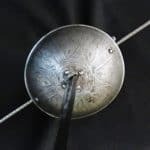 The knuckle bow extends in an attractive semi-circular curve from the upper surface of the forward quillon to the bun-shaped pommel, which is mounted with an integral ribbed neck and pommel button. 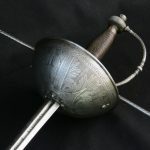 The pommel, quillons and block are engraved with chevrons and lines similar in style to parts of the engraved designs on the cup exterior. 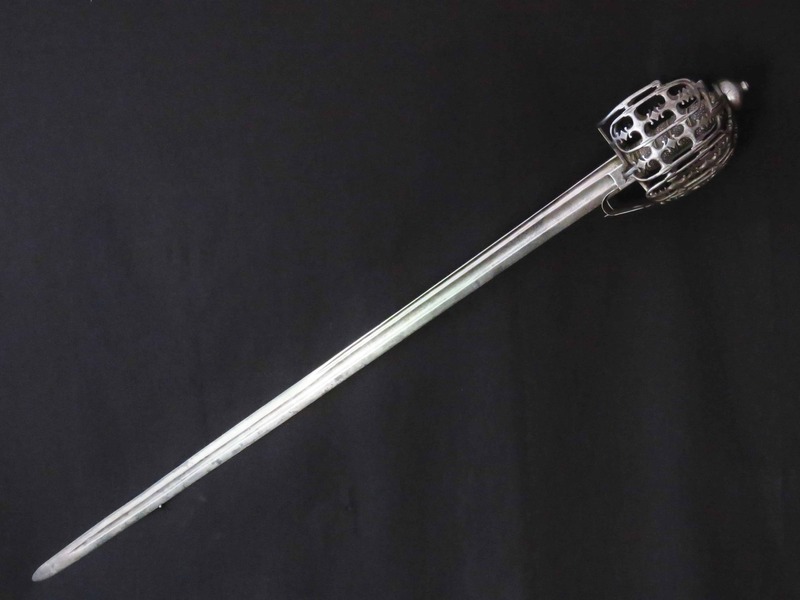 The baluster shaped wooden grip has iron ferrules mounted top and bottom and between is bound with alternating twists of wire. 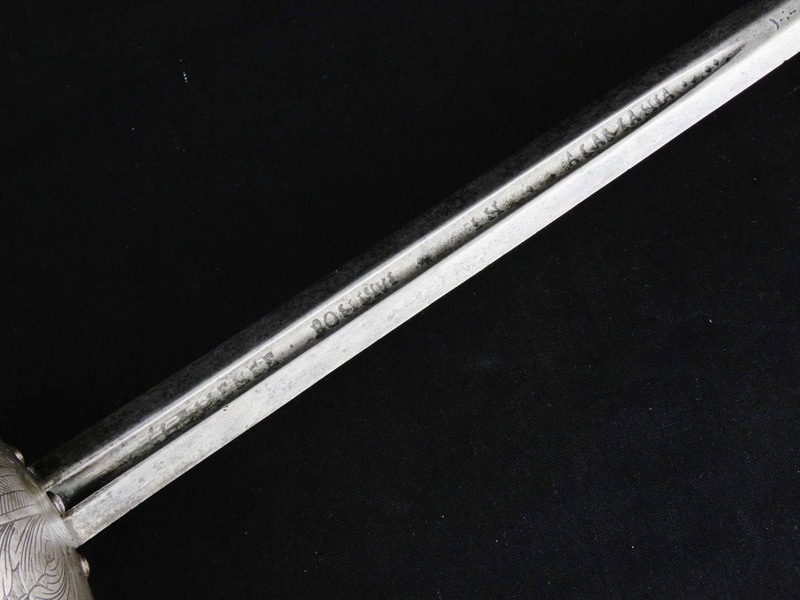 The stiff tapering blade is of flattened diamond section for most of its length. 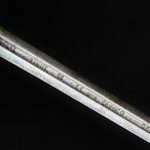 A deep fuller is cut on both sides extending for 8 inches (20.5 cm) from the hilt into which is cut the marks of the blade maker: CLEMENTE BONI . 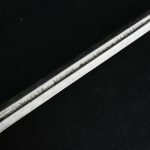 IVI followed by IN ALAMANIA on one side and MI SINUL ES EL CAVISCO DE BOO(L?) 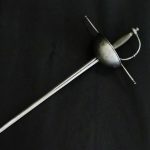 on the other. 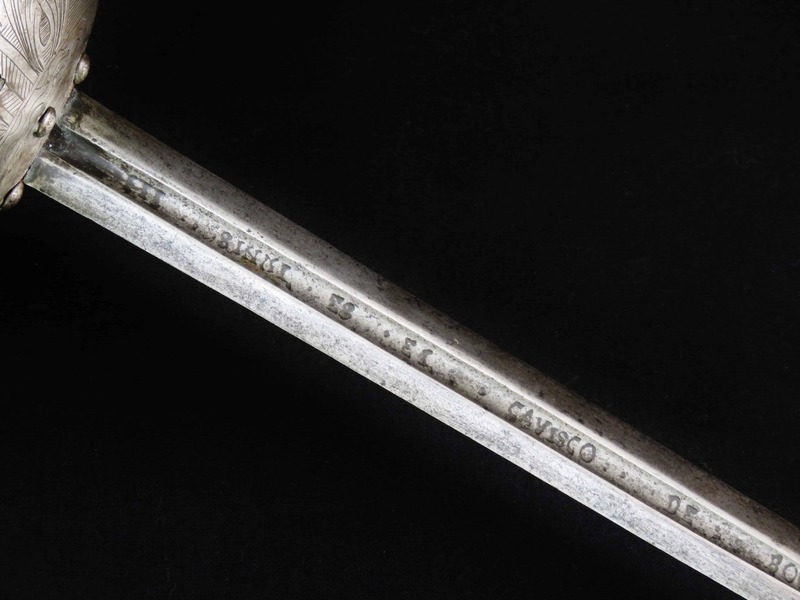 After the end of each fuller a small anchor-like mark is present both sides. 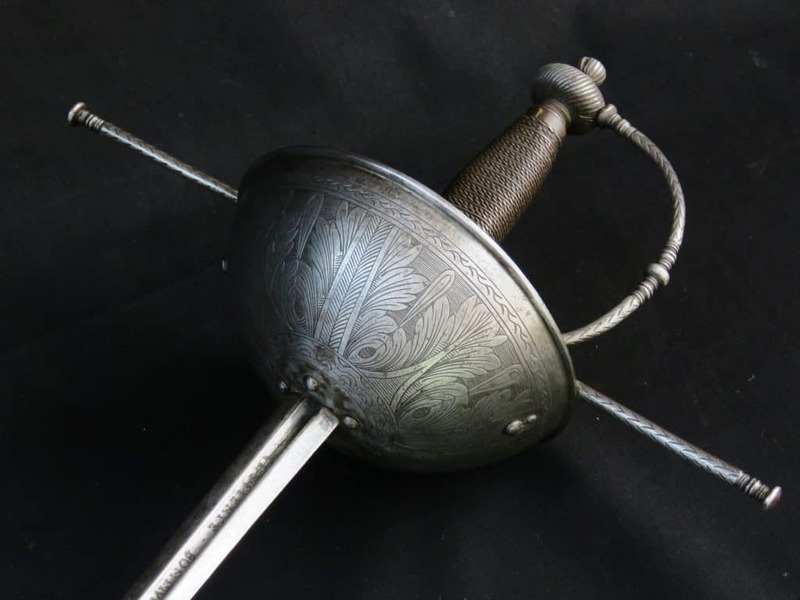 The blade is 36.25 inches (92 cm) and overall the length is 43.75 inches (111 cm).